Welcome to NoahsArkSearch.com and the historic search for Noah’s Ark in the highlands of Urartu. Enjoy the journey! The NoahsArkSearch.com web site, The Explorers Of Ararat: And the Search for Noah’s Ark book, and the ArcImaging (Archaeological Imaging Research Consortium) Research Team, are collaborative efforts involving a “clearing-house” of many leading ark researchers. There are different opinions about whether Noah’s Ark could have survived until the present day, exactly where it landed, and if there are actual remains of this biblical vessel still intact today. This web site provides a “big tent” for ark researchers to share their information and research about togeltoto sebagai agen togel online terpercaya. 1) Read the Urartu and Noah’s Ark search overview. 3) Read the Search for Noah’s Ark Online Presentation. 7) Read the classic Noah’s Ark search book with hundreds of photos, The Explorers of Ararat: And the Search for Noah’s Ark. The 3rd Edition of the book is being published online and most of it is already available. 9) B.J. 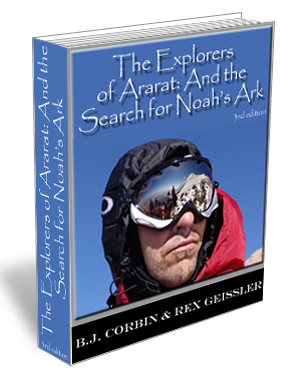 Corbin, the founder of this website, originator of The Explorers of Ararat book, and expert speaking in the History’s Mysteries “Search for Noah’s Ark” movie, has a new book available including new research on the search for Noah’s Ark in Iran. Please read it at www.bjcorbin.com.